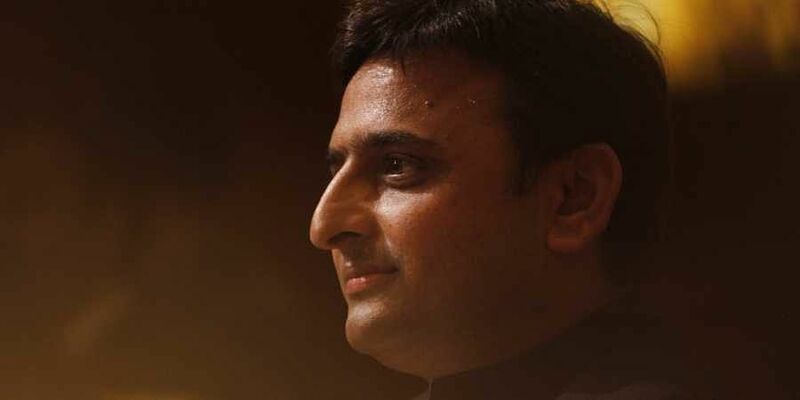 After snubbing father and uncle, can 'Tipu' Akhilesh show he is 'Sultan'? There are challenges galore for Akhilesh. And the biggest support system in trying times – family – is the most pressing one. LUCKNOW: Nicknamed Tipu in childhood, the time has come for Akhilesh Yadav to prove his mettle as a warrior. After all, as his party marches into the political battlefield, he is fighting on multiple fronts. All on his own. Akhilesh became an MP in his late 20s and the CM at 38. But the tutelage of his father and uncles protected and guided him for the better part of his tenure as CM between 2012 and 2017. This time, however, he is his own man and faces a litmus test. Not only has he entered into a tie-up with arch-rival BSP against his father's wishes, but his uncle Shivpal has also put on the battle gear to stop his charge. “Akhilesh is being pulled in several directions. The real challenge he faces is to emerge as an astute politician and a leader of stature who can lead his party as a stronger force to reckon with in UP, “ says AK Mishra, a political scientist. There are challenges galore. And the biggest support system in trying times – family – is the most pressing one. While Mulayam continues to be unhappy over a number of issues, the most prominent being the alliance with the BSP, uncle Shivpal is openly opposing him through his new outfit Pragatisheel Samajwadi Party-Lohia. He is out to dent the Samajwadi Party’s prospects in the polls by fielding candidates in all 80 seats. Moreover, while the intra-family wrangling may not be out in the open as blatantly as in the 2017 assembly polls, the party chief seems to be under immense pressure to accommodate kin, notably sister-in law Aparna and nephew Tej Pratap, who has not found a place in the candidates list put out so far. Another big challenge is to justify his alliance with arch-rival BSP. Akhilesh has to convince the old guard of the party and cadre at large to swallow the alliance with BSP. Even his own father feels that Akhilesh has yielded too much on the negotiating table by conceding 43-odd seats to allies. Though the alliance is a formidable force to challenge the might of BJP, it is plagued by practical problems. “The bonhomie visible at the leadership level of SP and BSP has not percolated down to the ground among their cadres in the same sense given decades-long animosity between them,” says Mishra. SP’s core voters Yadavs and BSP’s Jatavs have been at daggers drawn socially for decades. Moreover, a sense of dissent is also visible in some pockets as leaders of both parties had to suppress their electoral ambitions under alliance dharma. The transfer of votes to BSP candidates is another task Akhilesh needs to ensure. Political observers feel that while Mayawati is capable of transferring her votes, SP voters may drift to other parties. Sources in the BSP admit that the party leadership is concerned about SP’s inability on this front. Even a belligerent Congress is posing a threat as ‘vote katwa’. While the SP and BSP left two seats in the Gandhi bastions to the Congress expecting reciprocation, the candidates announced by the grand old party so far give a fair idea that it is going ahead without any sense of reciprocating the alliance gesture and fielding strong candidates to challenge the might of even Akhilesh’s kin. In Badaun, the Congress has posed a strong challenge to SP’s Dharmendra Yadav, the sitting SP MP and Akhilesh’s cousin, by fielding Salim Iqbal Sherwani much to the chagrin of Akhilesh. Political pundits have cautioned the SP chief to be grounded in the wake of these challenges. “He needs to keep his ear firmly to the ground to get the real pulse rather than rely on social media,” says a political observer.